If you are planning to visit the beautiful country of Canada, then you will definitely need a VISA for that. Nowadays, applying for a Canadian Visa has become quite easier through online. You must apply for the Canadian visa eTA providing all the essential details and documents as a part of the formalities. But before you apply for Canada eTA, you must know that only citizens of some of the particular countries can avail this privilege. Applying for the Canadian eTA visa is quite a simple and hassle-free process. But how do I know if my Canadian visa is approved? The short answer is: You will get the confirmation and your eTA visa on your email! 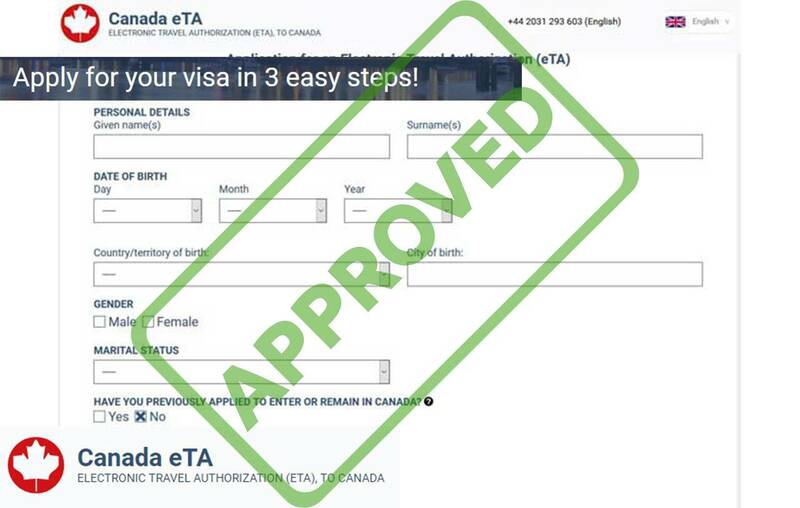 You first have to visit the official eTA Canada online website to apply for the eTA visa. Step #1: Provide all the essential information about your passport and personal details to apply for the visa application. You need to download the form and fill up all the required details and proceed to the next step. Step #2: In the next step you have to make a payment. It can only be done through a credit card. If you have a VISA credit card or MasterCard, you can proceed for the payment with it. Once the payment is done you will complete the process of applying. Step #3: You will get a confirmation email within 2 hours about the confirmation of the payment. This confirmation of payment is an indication that they have got the payment and the process has been initiated. If you are worried about – how do I know if my Canadian visa is approved, then you must know that the process takes a few minutes to 72 hours. We go through your documents and all the details that you have provided in the form. Once the process is completely done and the verification is successful, you be granted the Canadian Visa. The approval of your Canadian visa application will be sent to your email address mentioned in the form. Thus, make sure to check the email daily to check whether or not the Canadian visa is approved. Before you start applying for the Canadian visa, you must know that you have to possess a valid travel passport along with some documents. When you are traveling make sure that the passport has at least 6 months of validity remaining. While applying for the visa, provide unique passport number and place of origin and your full name in the form. You also have to provide some of the essential information about the occupation and some of the facts related to your health. You also have to mention the amount of money that you will be carrying. Once you get the confirmation that your visa for Canada has been approved, start your booking. Check the validity of the visa as that it important. Read all the dos and don’ts when you are traveling to Canada. There are some strict laws that you must follow whenever you are traveling. Also, carry your passport, visa and other essential documents while traveling to Canada. You voted 1, 1 day ago.